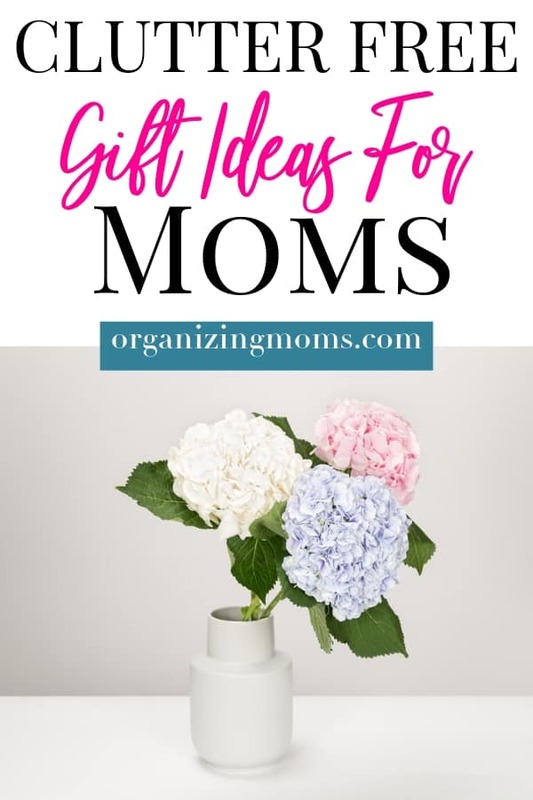 Are you looking for gift ideas for a fellow mom? Want to give her something she’ll really use and enjoy? 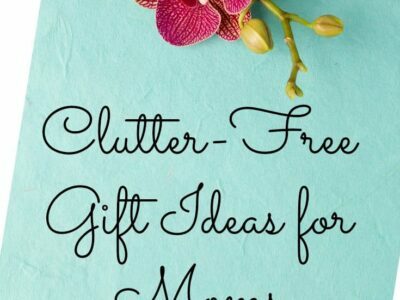 Here are some clutter-free gift ideas for your mommy friends. Museum or playplace memberships. It’s always nice to have a place to take the kids on a rainy day when everyone just wants to get out of the house. A yearly membership to a local children’s museum or playplace gives the mom the gift of a change of scenery and entertained children. Frozen dinners. These aren’t just appreciated by new moms. Moms of all ages appreciate a frozen lasagna on days when there’s just no time to cook. Check to make sure there’s freezer space in your mommy friend’s home before giving this homemade gift. Freezer meal plans. Know a mom that likes to plan ahead for meals? Give her the gift off pre-made freezer meal plans. These plans include shopping lists, procedures, and labels to make everything easy. Restaurant gift cards. Does your mommy friend have the local Chinese restaurant or pizza parlor on speed dial? Get her a gift card to her favorite local eatery. A dinner delivered is always appreciated! Beauty shop credit. Does your mommy friend love to have her nails done? Does she rave about her favorite hair salon? Get her a gift certificate to her favorite place. I-Tunes cards. Does your mommy friend download movies or songs for her kids? Get her an iTunes gift card that she can load to her account for easier downloading. Amazon Prime memberships. Amazon Prime is a godsend to mothers of young children. 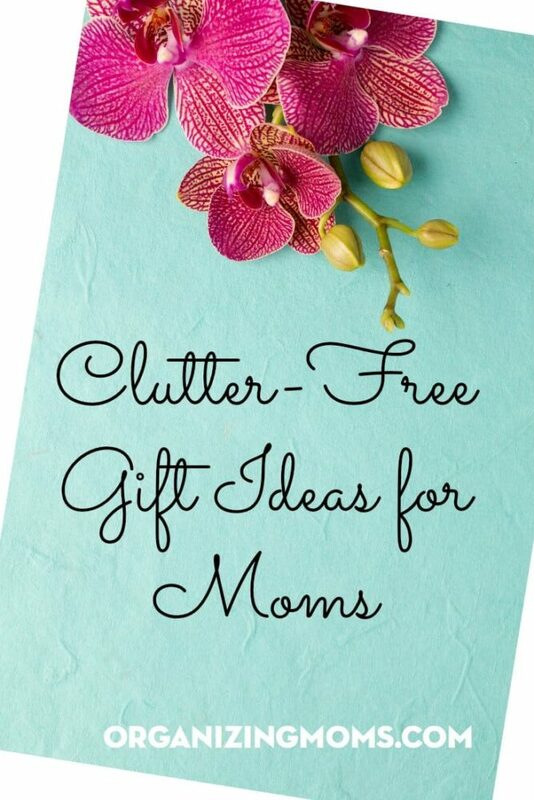 With an Amazon Prime membership, diapers, food, toiletries, and more can be delivered to your mommy friend’s home for free. And, it includes access to a nice collection of streaming children’s programming for free. Is your friend always carrying a to-go coffee cup? Find out what her favorite coffee place is, and get her a gift card for her next few coffee fixes. Movie tickets. Buy a mom movie ticket credits. They can be used for a family outing, or for date night! If you feel up to it, give the gift of babysitting. You can help watch a mom’s children while she goes out and does something fun! Girls’ Night Out! Plan a fun night with a group of girlfriends. 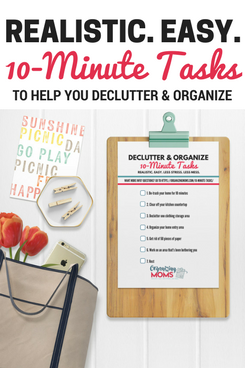 The more you can arrange beforehand, the more fun it will be for your mommy friend. 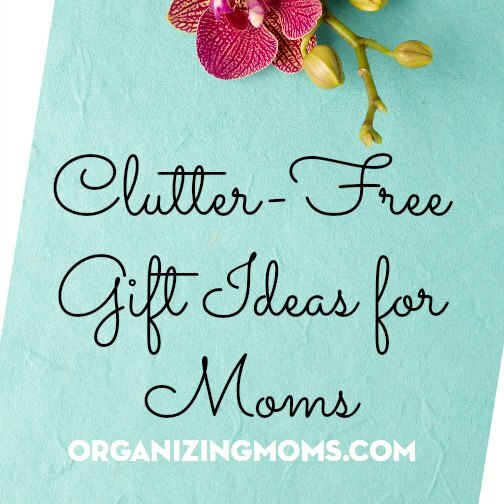 Looking for more clutter free gift ideas? There are a lot more ideas here.